Wednesday May 20 to Saturday May 30, 2015. We are delighted to announce that our hit musical, James Street, is coming back! 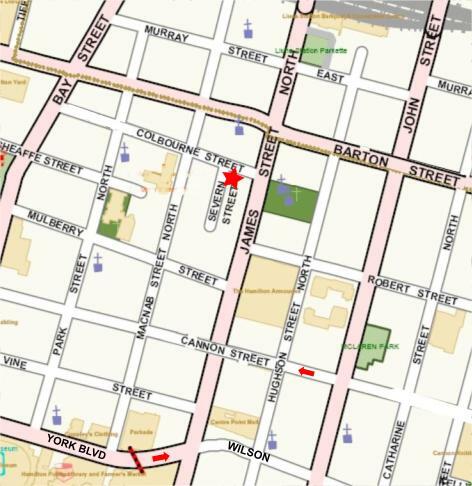 To Artword Artbar, 15 Colbourne Street, just off James! 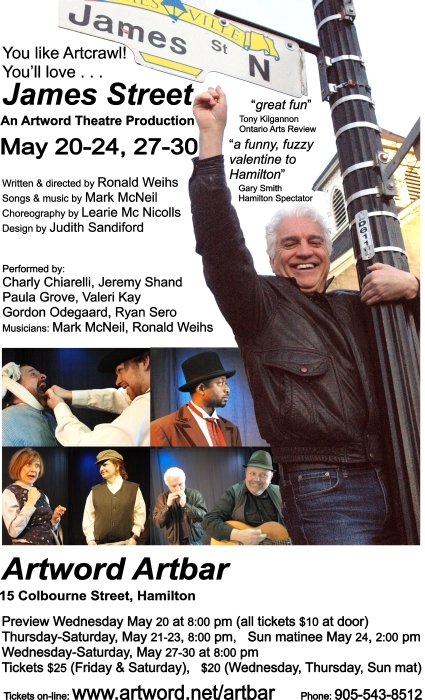 Wed May 27 to Sat May 30 at 8 pm. 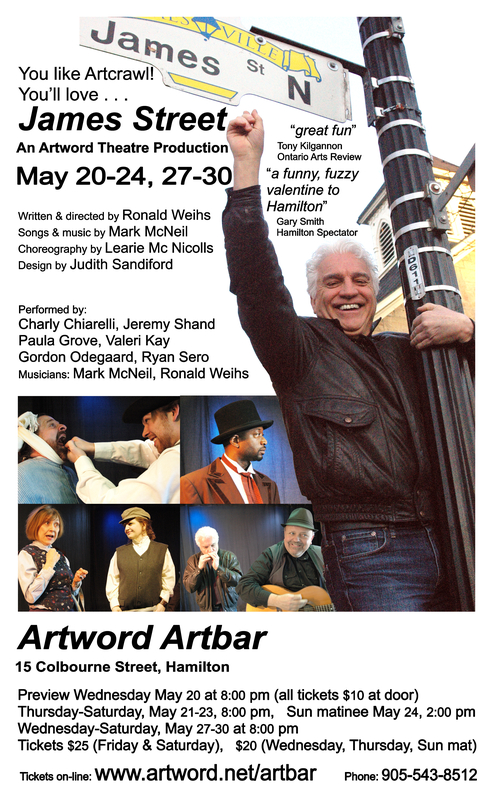 Tickets: $25 (Fri & Sat), $20 (Wed, Thur, Sun), $10 preview May 20 only. Hamilton`s official Town Crier from 1850 meets a modern Hamiltonian from the North End, right on James Street! 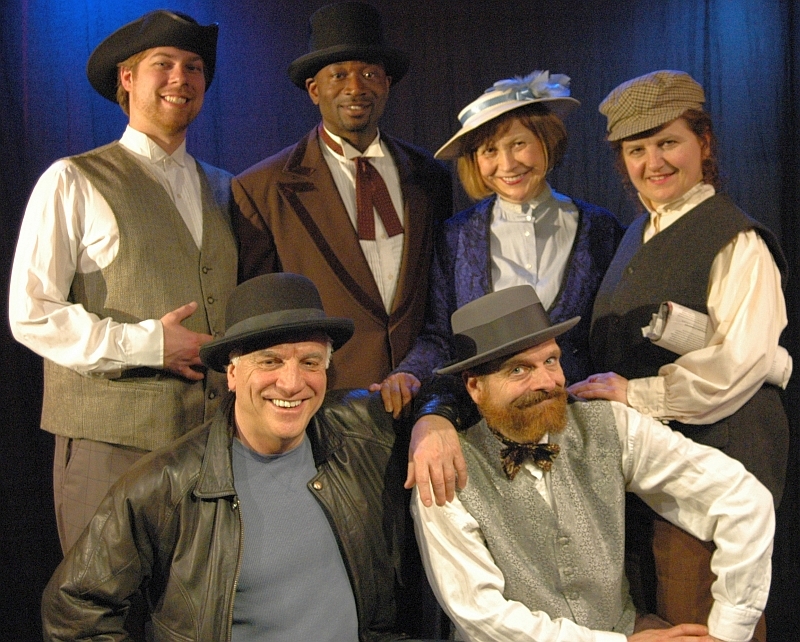 An Artword Theatre production, written and directed by Ronald Weihs, with original music by Mark McNeil and choreography by Learie McNicolls. Produced and designed by Judith Sandiford. Music performed by Mark McNeil, Ron Weihs & the Ensemble.